Watchout is the exciting BC Lookout son out of Styles' full sister! Watchout commanded $40,000 for 1/3 interest at the 2012 Bases Loaded Sale in Denver. 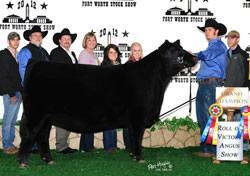 He has been a division Champion at Fort Worth, Kansas City, and the OR & CA State Fairs. 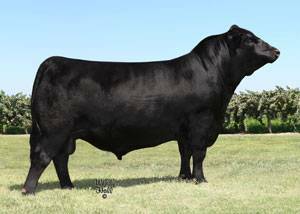 Watchout combines two of the hottest pedigrees in the breed. 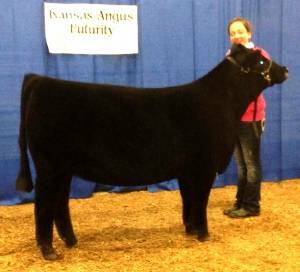 His full sister was Grand Champion Female at Fort Worth and Kansas City, and was also a Division Champion at Denver. 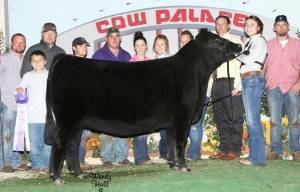 Supreme Female at Cow Palace for Guess by Watchout.